A massive surge in flyers’ count in Kolkata airport over the past four years has sent Airports Authority of India (AAI) planners scurrying to the drawing board to prepare an expansion blueprint. With the integrated terminal, which has a capacity of 24 million passengers per year, set to get saturated next year, four years ahead of initial projection, AAI is bracing to pump in more than Rs 1,000 crore to raise the annual capacity by a further 9 million passengers. 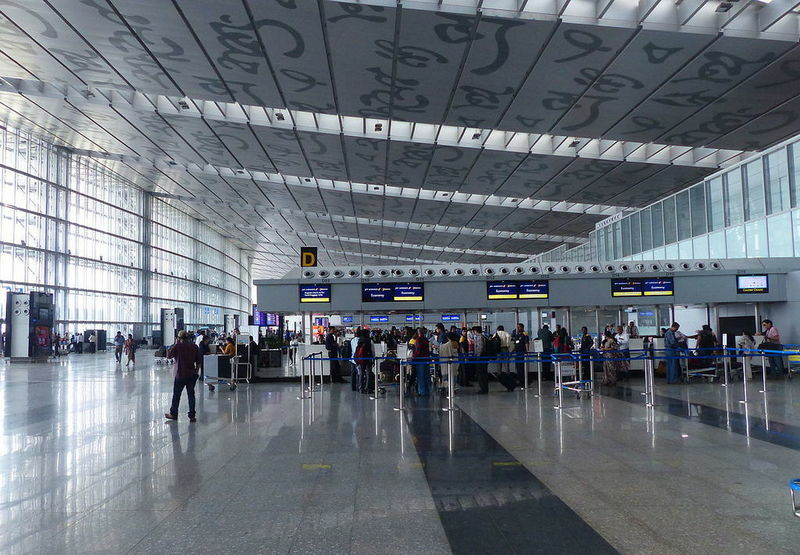 AAI had invested Rs 2,325 crore in the integrated terminal that was commissioned in 2013. Speaking to TOI, Kolkata airport director Kaushik Bhattacharya said a decision had been taken to demolish the old domestic terminal to create space for a new terminal that would increase the annual passenger handling capacity to 33 million. “The demolition of the old terminal, which was constructed in 1995 and served till 2013, has been approved by the AAI board. The demolition job will begin in August and be completed within a month. Thereafter, a new terminal spread over nearly 70,000 sq m (7.5 lakh sq ft) will be constructed. The design is yet to be finalised but it should be in place by early next year,” said Bhattacharya, who had been closely involved in the construction of the integrated terminal seven-eight years ago. The focus of the second phase will be to expand the security hold area (SHA) — the lounge where passengers wait before boarding and after passing through the security check — and adding boarding gates with aerobridges. A small check-in area may also be added to the plan. “The departure and arrival lounges at the integrated terminal has adequate capacity. The problem is with SHA that is already crowded during peak hours. Hence, the proposal is to extend the SHA to the left of the existing terminal where the old domestic terminal stands. Planners and architects are working on multiple layouts for the new terminal, both ‘L’ and ‘U’ shaped, to add boarding gates and aerobridges,” said an airport source. Of the 222 flights operating out of Kolkata daily, around half the flights get to use aerobridges while the rest transport passengers in airline coaches to flights parked in remote bays. Sources said the new pier-type extension could add up to 10 aerobridges. At present, there are 18 aerobridges in the integrated terminal of which 14 are used for domestic flights and four for international. All the new aerobridges will be added to the domestic wing. The new facility will cater to category C and higher aircraft that include the commonly used Airbus A319, A320 and A321 as well as Boeing B737 and B787. With each aerobridge capable of servicing around 10 flights a day, the proposed facility could potentially provide direct boarding in 100 more flights. The third phase of the expansion to be taken up later will involve extending the terminal further by demolition of the tower building first and then the old international terminal. This will add another 7 million passengers to the annual capacity, taking airport’s overall capacity to 40 million passengers.